Oh what a fun session this was! 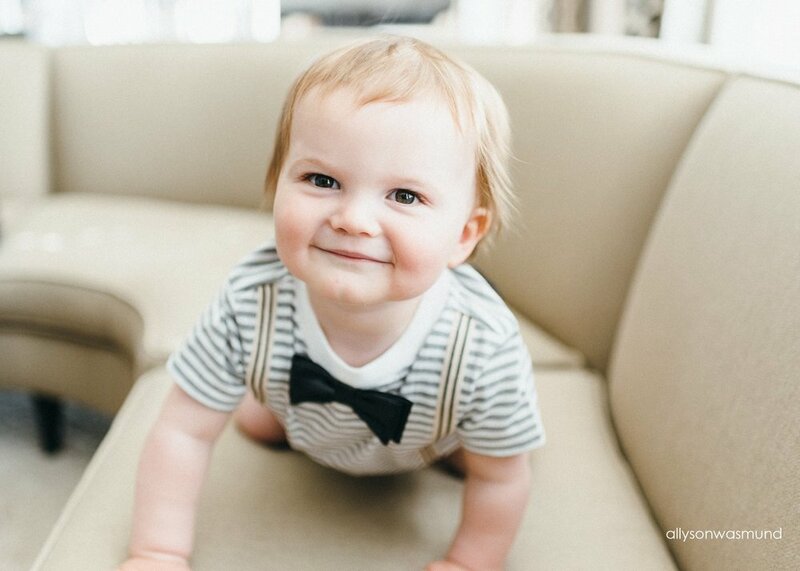 Mr. Calvin is such a happy boy... and SO ADORABLE. 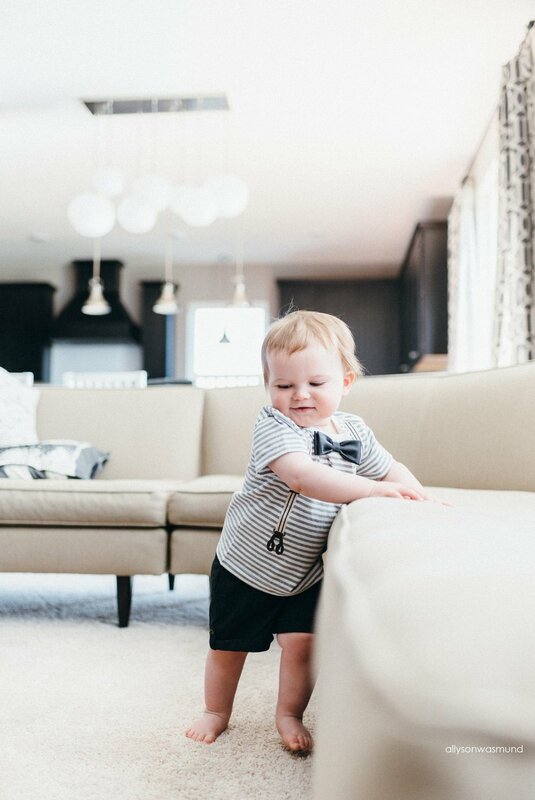 I was welcomed into their beautiful Eagan, Minnesota home on a bright sunny morning in May to celebrate Calvin turning 12 months old. Say what?! How did that year go by so fast? It's crazy, friends. 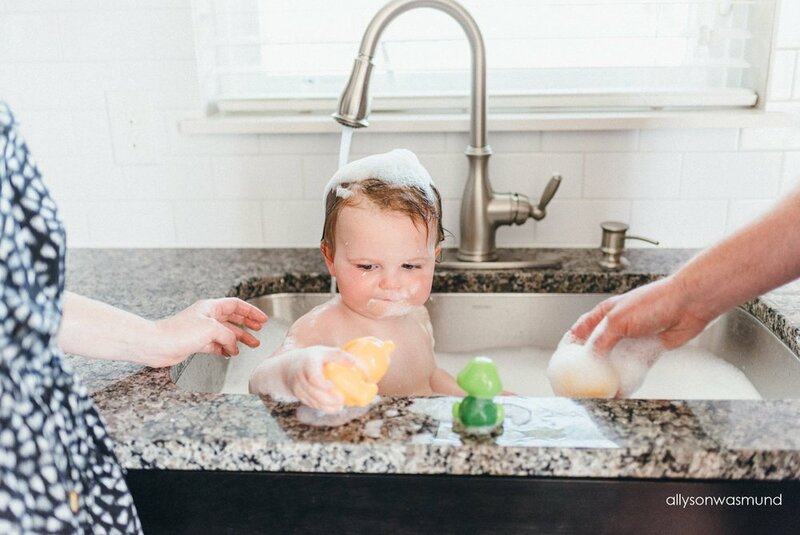 I first met this ah-mazing family last year for Calvin's in-home lifestyle newborn session. This family was so sweet back then...and they are even sweeter now. I will always remember their newborn session - it was the first time I had a pup photobomb one of my shots. 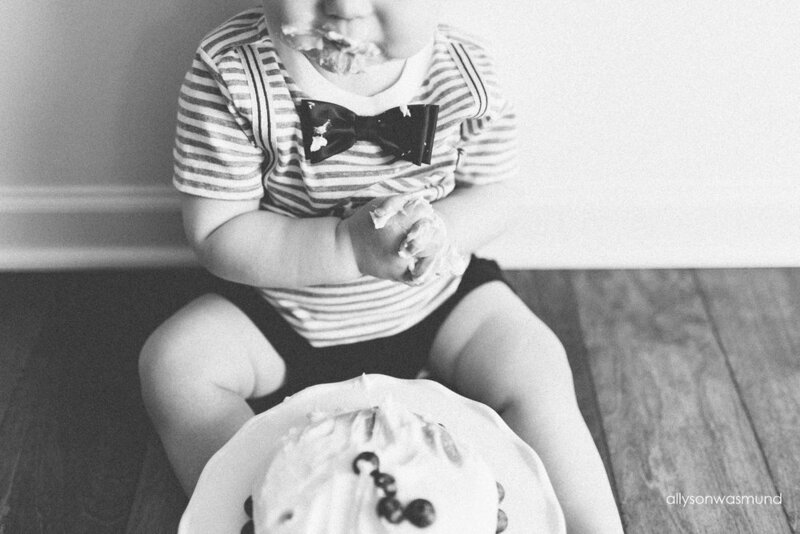 It's still one of my favorite newborn images to date! 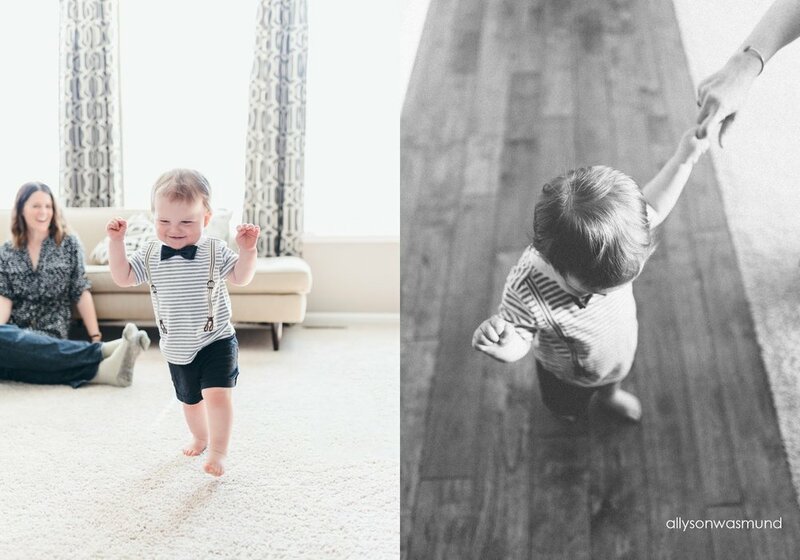 This 12 month baby milestone session started with us just hanging out + capturing Mr. Calvin playing...and walking!! 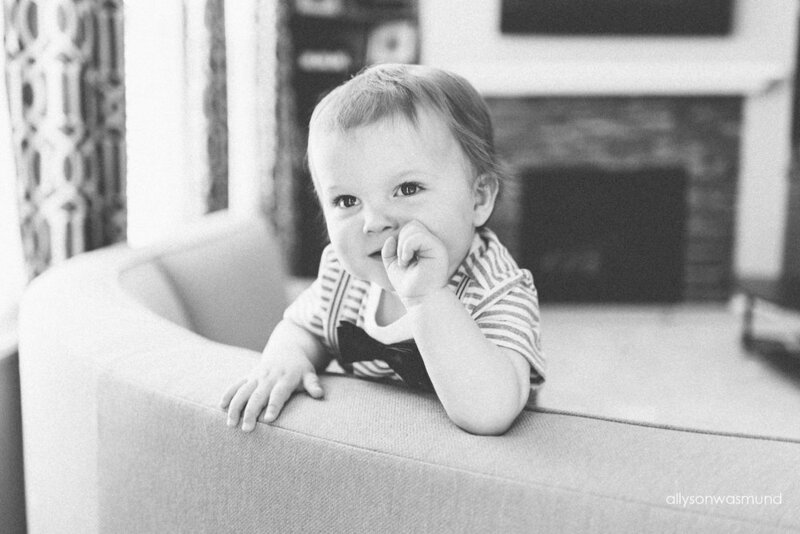 We sure timed this session right with him starting to walk that same week. 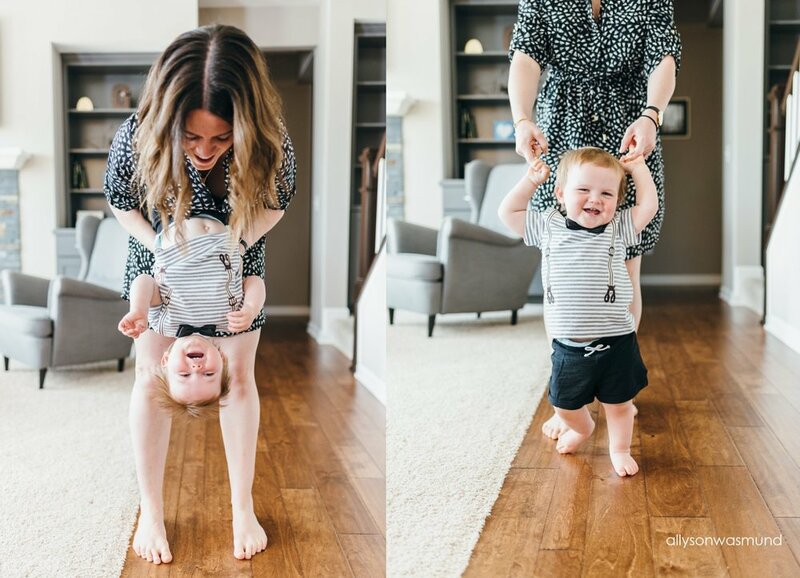 Two big milestones captured in one session. It was perfect! 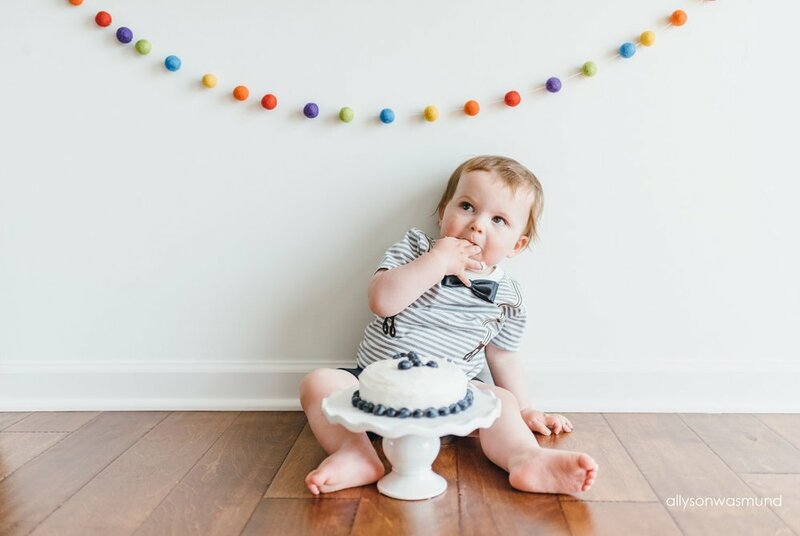 After we played it was time for his cake smash. 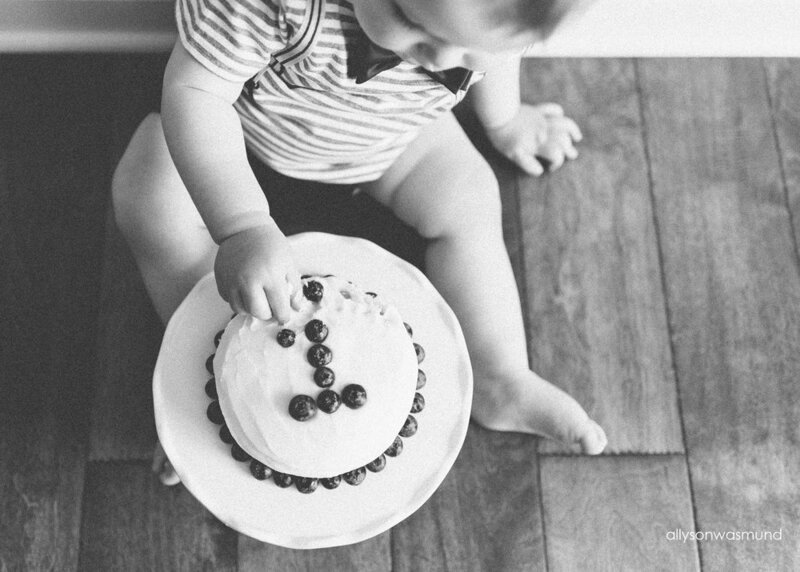 His mom made a fantastic cake complete with with the number one made of blueberries. 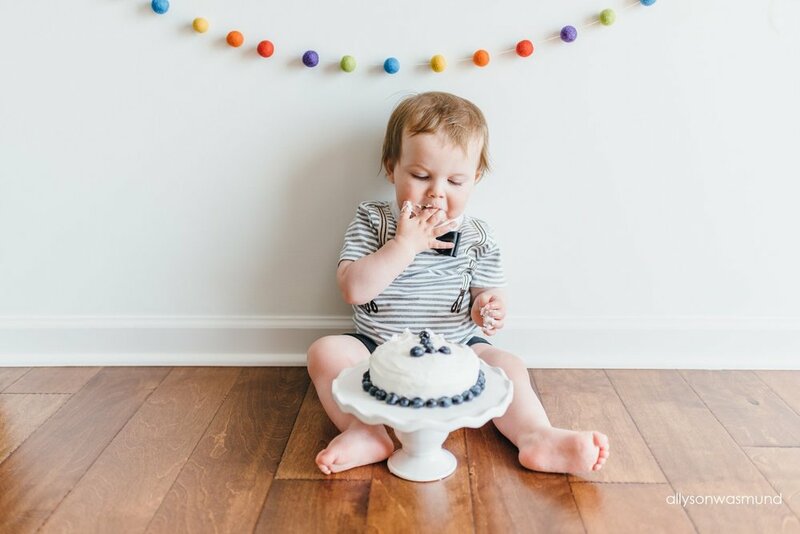 I just LOVE watching babies play during cake smashes...each baby is so different in how they approach the mysterious new food. 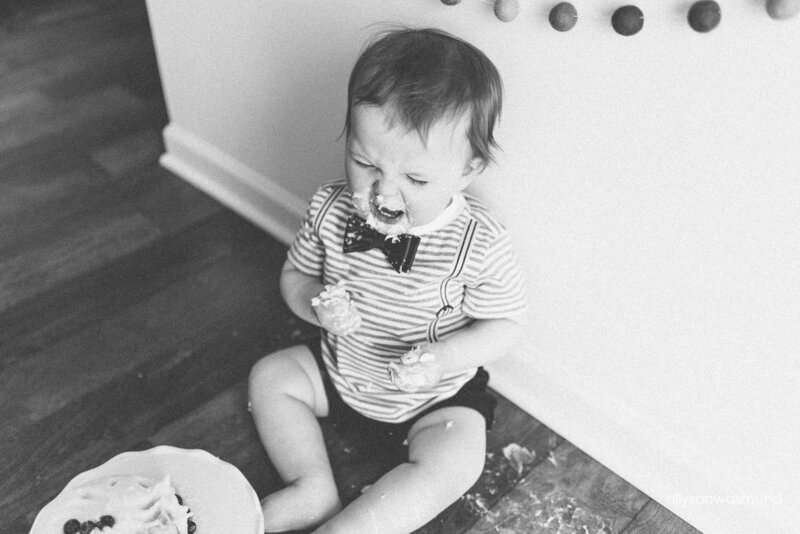 Some get messy, some are more careful. However they go about it, they sure are cute. 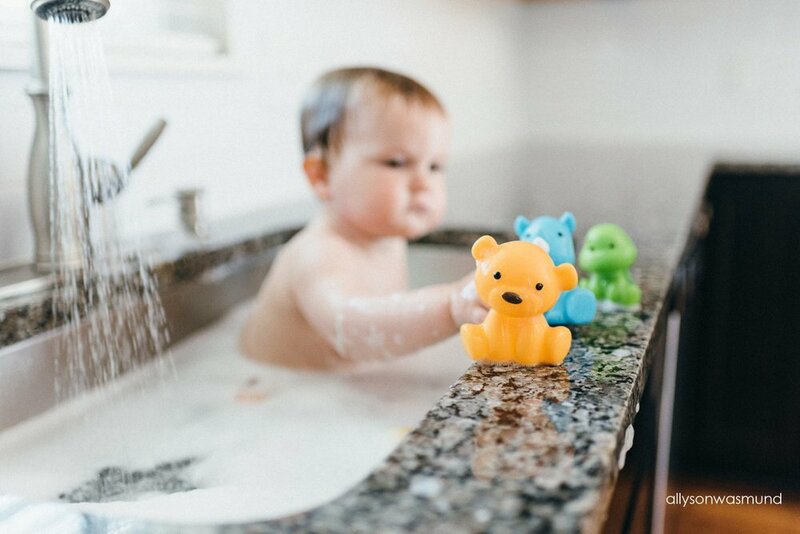 After the cake smash it was time for some sink bath fun. (Seriously, if you have a sink in front of a window this should be a must for all in-home cake smash sessions.) 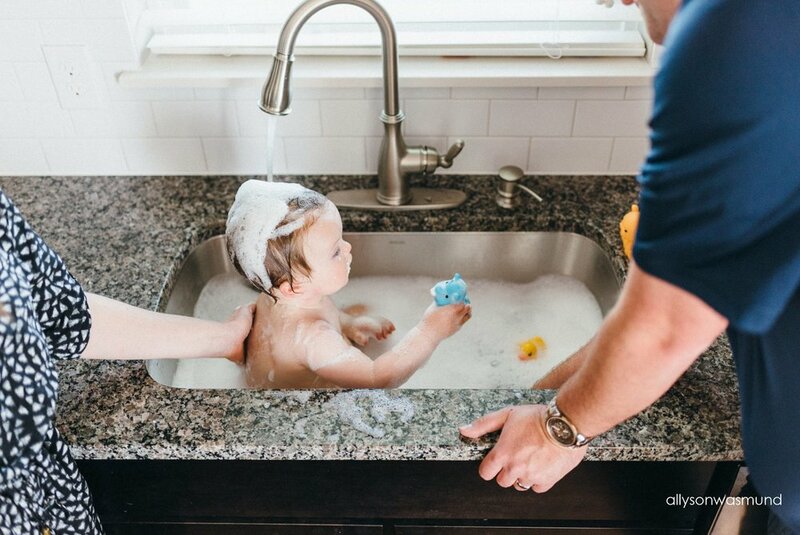 Sink baths are so beautiful + timeless. 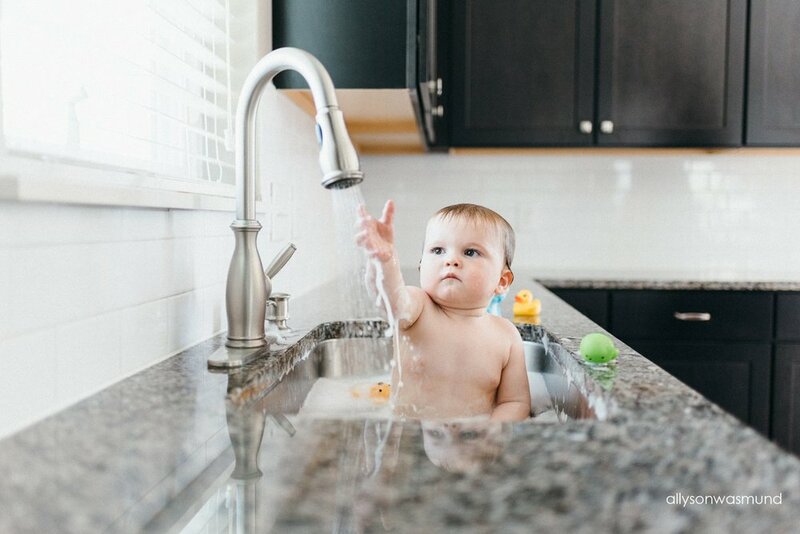 I think almost every baby has had a sink bath at one time or another. I am so happy this family was up for it! I think it was the perfect ending to such a great session. 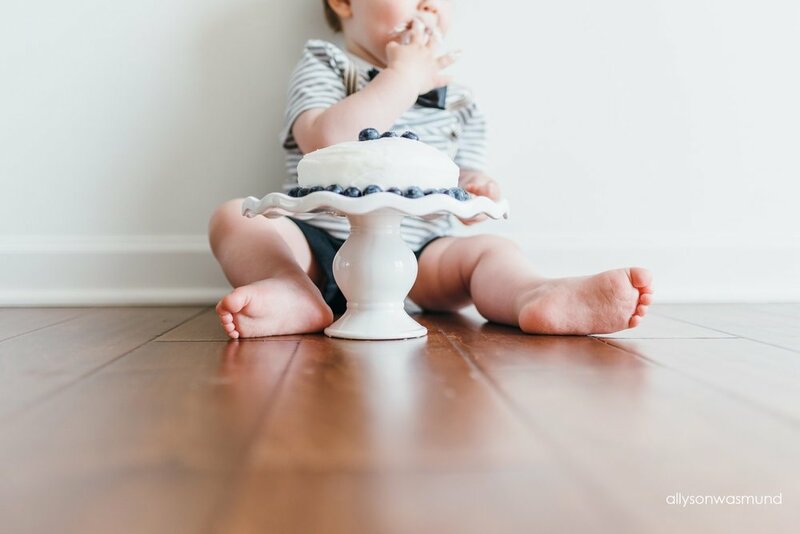 Allyson Wasmund Photography is located in Saint Paul, Minnesota and specializes in lifestyle newborn photography. Please visit HERE to learn more.